Webnode Review: Is it any good? A while ago, Webnode decided to launch a new version of their platform and replace the good old editor that we liked a lot. We even used it to build the original version of WebsiteToolTester back in the days before it became too complex for Webnode. 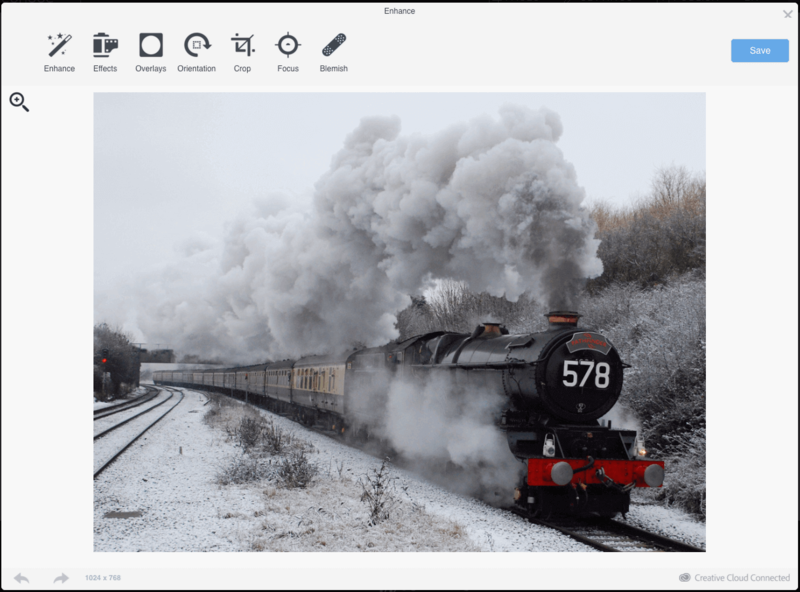 The improvements include a more direct editing experience as well as a range of good-looking designs. Just recently, they also added a new and improved shopping cart to the website builder. Displays a small Webnode ad. Doesn't include own domain name. Up to 100 MB of storage. Connect your own domain name. It includes a Webnode link in the footer. Good solution for smaller projects that need professional email. Still shows a Webnode ad. The ideal plan for professional and bilingual websites. Ad-free. For big sites that need up to 5 GB of storage, 100 email accounts and multilingual sites. Read our entire Webnode pricing comparison. With the drag and drop editor you can add sections (e.g. a price list) and content elements (e.g. images, text, videos, etc) to pages. It can take some time until you know your way around as not everything is intuitive. They offer responsive designs and there is enough variety. However, be aware that you won’t be able to tweak their HTML or CSS. A neat feature is that you can give a unique look to each section by changing their background color. Changing the template without losing all of the content is not possible, unfortunately. You'll need the Standard plan or the Profi package minimum for an ad-free site. Webnode is available in more than 20 languages. A great plus is the multilingual feature that supports different language versions of your website! Register a domain via Webnode or re-direct your existing domain. The plans Mini and higher include a free domain for the first year. SSL encryption is included in all plans so your site will run on https. It comes with 3 levels (2 sublevels) of navigation. It’s missing some important widgets such as: social likes and shares, a site search box and some more. Unfortunately, Webnode doesn’t come with an app store like Weebly and Wix. You can add AdSense support via the HTML element. They have an integrated ecommerce solution. However, it is very limited as it lacks really basic features such as coupon codes, import/export options or even the ability to create product variants. Only available in the Standard and Profi plans. If you are serious about ecommerce, look for an alternative. Enough for most users. Customize title tags, meta-descriptions and URLs. Webnode generates a sitemap automatically. Creating 301 redirects is not (yet) possible and some templates don’t use an SEO-friendly headings structure. The blog is a bit basic and misses some relevant features (e.g. comments and tags). Adding categories should also be easier. External commenting systems such as Disqus can always be added via HTML code. It has a simple reporting system integrated for statistics. Be aware that to integrate Google Analytics, the Standard plan or the Profi are required. Pretty good. Advanced form fields such as date pickers or drop-down menus are available. Users can also upload files. It comes with support for user registration. In other words, users can have their own password and username to access exclusive content. This is only available for the Standard and Profi plan. No, but you can integrate external newsletter systems like Mailchimp or MailerLite easily via the HTML element. The different plans have different storage limits (100 MB, 500 MB, 2 GB and 5 GB). Additionally, there is a bandwidth limit (1 GB, 3 GB and 10 GB) for most plans (Limited, Mini and Standard). Yes, you can restore your website to a previous version. 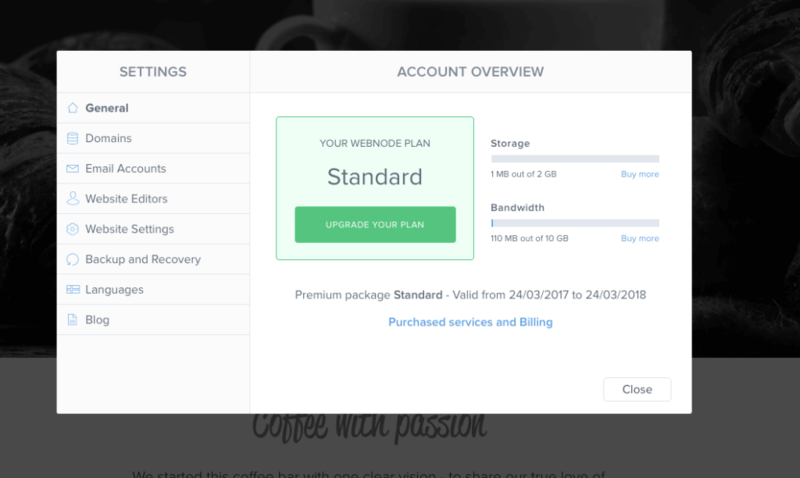 However, this is only included in the Standard (up to 5 backups) and Profi (unlimited backups) plans. Email and knowledgebase. Technical support questions are answered quickly but not always to our full satisfaction. Help files are not very comprehensive. It lacks some key features and some of the functionalities it does have are a bit too simple (e.g. image galleries). Webnode offers, for now, a rather limited range of features. For example, the blog needs improvement and they should really integrate social media widgets. However, we’ve been told that they plan on adding more features in the future. Webnode has a great strength: few website builders make it so easy to create a multilingual website. We were impressed with their templates, especially compared with their previous versions. Additionally, Webnode is one of the few site builders that lets you create (and restore) backup copies of your website. On the downside, it misses some basic features – to name a few: a better blog, an app store and there isn’t a search function, unfortunately. Their templates have some SEO shortcomings you should be aware of (e.g. odd heading structures). And remember, if you’d like to have a site without the self-promoting Webnode banner, you’ll need the Standard or the Profi plan. We also think they could be more generous with the storage and bandwidth limits they offer with the lower plans (Mini and Limited). Does Webnode offer a backup feature? Yes, you can backup your entire website and roll it back if you need it. However, you won’t be able to back up individual pages. Your website files and images need to be sent to each visitor that you receive. Webnode limits the amount of data that you can send each month (1 GB, 3 GB & 10 GB) for the different plans (Limited, Mini & Standard). 1 GB of bandwidth will more or less last for 1000 visitors per month. If you go over the limit, you’ll have to buy more bandwidth from Webnode to let visitors browse your website. How to cancel a Webnode subscription? You can cancel within the first 15 days (no questions asked). They will refund your payment, except domain registrations. After 15 days you can cancel at anytime and won’t be billed again. Hi! My name is Josep Garcia and I wrote this article. If you have any question, please leave a comment. 22 Nov 2011 – We have tested Webnode’s server performance. 16 Jan 2011 – The free plan now features a small Webnode banner button. So it is not really ad-free anymore, contrary to Webnode’s claim on its website. 11 Jan 2011 – Update of all reviews: Webnode hasn’t released any new features for a couple of months now.